I have to be honest. I haven't always enjoyed exercising. In fact, I pretty much hated any physical activity at all when I was a kid. I attempted to play basketball which was quite the joke. Don't get me wrong, I was in the team picture but that's only because the coach was kind enough to let me "borrow" a jersey so I looked like I was part of the team. Other than that I really didn't enjoy physical activity, unless I was forced to(like the time I was chased by our camel). :) As I hit high school I discovered that you could do things like run or Tae-bo to lose weight. When I saw the results that came from exercise I jumped on board. I was sold. From that moment on I became an exercise addict. I would exercise at midnight(insane I know). I would do two a days. Anything I could to burn just a few more calories. But it wasn't enjoyable. It was my way of beating up my body. In fact, the meaner my self talk was the harder I worked and more I starved myself. You could say I was "scared skinny". I stumbled into teaching group fitness classes and fell in love. Not only do I get to beat my own body up but bring some others along with me? Yes please! I spent the next several years getting certified in every format around and creating new moves. Don't get me wrong, none of those things were bad on their own, but they turned bad when I worshiped them more than God. I no longer view exercising as a hate session for my body but as a privilege that I get to move and use the body God has given me to accomplish new things. My husband and I started running Spartan races and I have never felt so connected to God when I do those because I rely 100% on His strength to carry me through. A little over a year ago God began to speak to me about this gift He has given me. I spent so many years doing my research and training and now I have a heart to use it in a healthy way. It would be SO tempting to keep this new found freedom for myself but I know God didn't put me on this earth to be so selfish. If I can be free in the area of fitness why can't others be too? After much praying(and many others praying too) I knew God was calling me to this ministry. He opened doors for me to do the instructor training that only He could have opened. I began my training last week and will continue for the next 8 weeks and end with an instructor training retreat in Arizona. I will also be certified to teach their "Weigh less to Feed More" curriculum, which I am super excited about. To say that God has spoken to me in just the first 2 weeks of training would be an understatement. I have a renewed sense of vision and purpose. He has given me dreams. He has given me a name for a book. He has spoken to me about other areas of my life that are non fitness related. But that's just it, we are one in all that we do. There is no such things as separating certain areas of our life. When we have one area of our life that is not submitted to God it affects ALL areas of our life. I don't know what the rest of this training holds but I know that God is in it. I am so excited to share this journey with you! 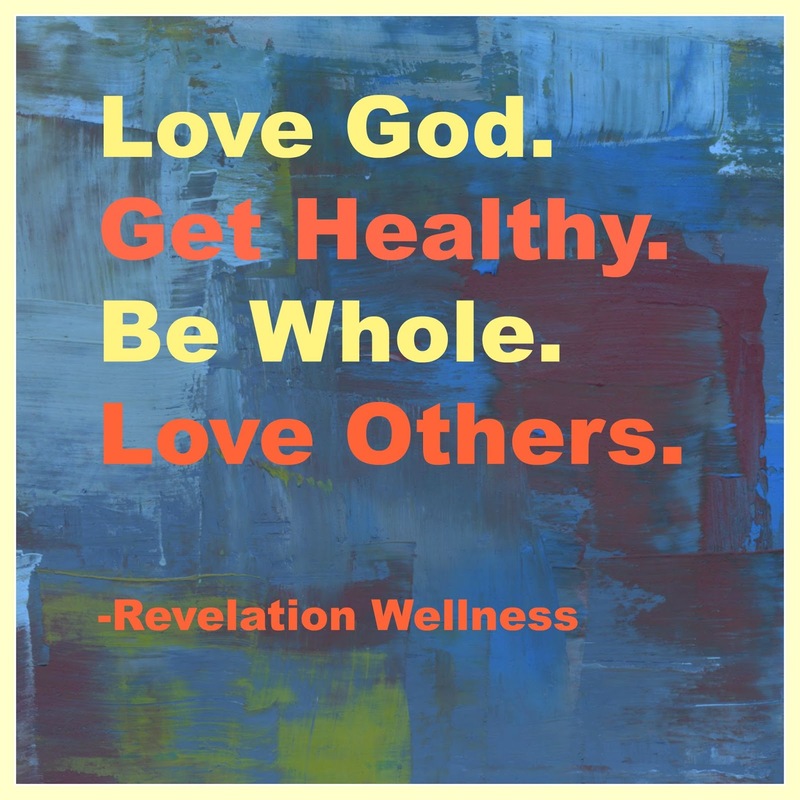 In the meantime, check out Revelation Wellness website for more information on becoming an instructor yourself OR to subscribe to their Vip-tv for online workouts! You are a chain breaker. So glad we found one another. Big things lie ahead! So wonderful on so many levels! !!!!! 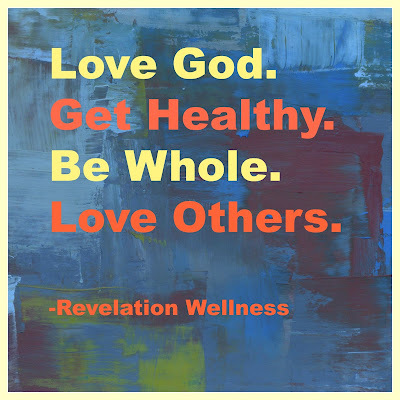 I can't wait to hear more about the Revelation Wellness!